Sai-No-Kuni Visual Plaza is an integrated audio-visual production complex. All processes of filmmaking, from shooting to screening, can be carried out as one continuous operation within Sai-No-Kuni Visual Plaza. Sai-No-Kuni Visual Plaza consists of six component facilities (HD Studio, Audio Visual Hall, HD Editing Room/5.1 MA Audio Sweeping Room, Incubate Offices, Audio Visual Museum, and Audio Visual Library). Sai-No-Kuni Visual Plaza is designed to serve as a hub of digital audio visual production and each of its component facilities is equipped with the digital technologies of the 21st century. With these equipment and facilities, all processes of filmmaking, from shooting to screening, can be carried out within Sai-No-Kuni Visual Plaza. HD Studio is a full digital HD studio suitable for the production of digital Hi-Vision TV programs. Audio Visual Hall is a rental hall featuring vivid images and sound with its huge screen, 4K digital cinema projector, and Dolby Surround System. HD Editing Room/5.1 Channel MA Room are post-production facilities with latest equipment. Incubate Offices are rental offices to provide young creators and small businesses with office space and various kinds of assistance to grow. There are eighteen offices varying in size. Audio Visual Museum offers visitors hands-on learning experiences to know history, theories, and processes of audio visual production. 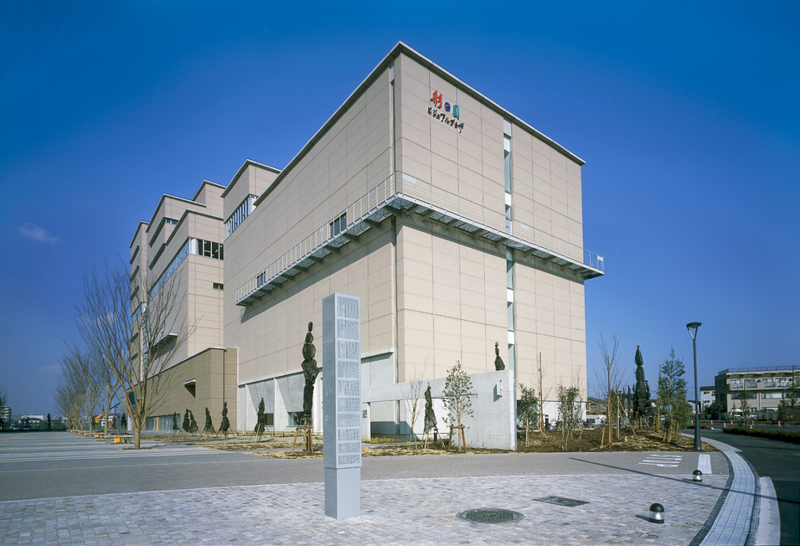 Audio Visual Library is operated jointly with NHK (Japan Broadcasting Corporation), and contains valuable audiovisual assets produced by Saitama Prefecture and memorable TV programs produced by NHK. All videos are available for viewing on demand. In addition to these facilities, SKIPCITY operates an internet broadcasting station (SKIPCITY Channel) and holds a digital cinema festival (SKIPCITY International D-Cinema Festival). SKIPCITY Channel operates a full 24 hours every day. Event information and video works of young creators are available to a global audience. The SKIPCITY International D-Cinema Festival focuses on digital cinema and has been held annually since 2004. The objective of the event is to discover the next generation of audio-visual creators and introduce their works to the public.